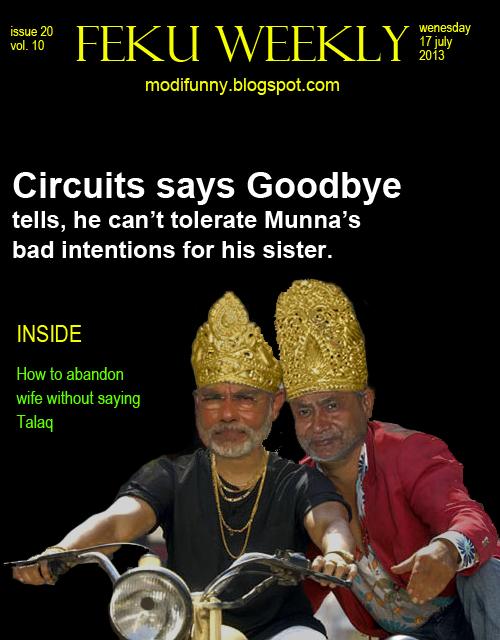 Fun facts and pictures on Modi and Gujarat. Modi funny is a collection of pics demystifying Modi. Picture of Modi with Nitish Kumar showing them sitting on a Bike like Munna Bhai and Circuit. This picture was found by our sources on Facebook. Don't forget to share if you like this picture. Aye circuit apoon to congress ko vote denga tu b uskoj dena...apni toh gaand fatti hai PM banne se..